Winter is here. Even in the bright sunshine of a late summer’s day in Northern Ireland I was convinced of that. 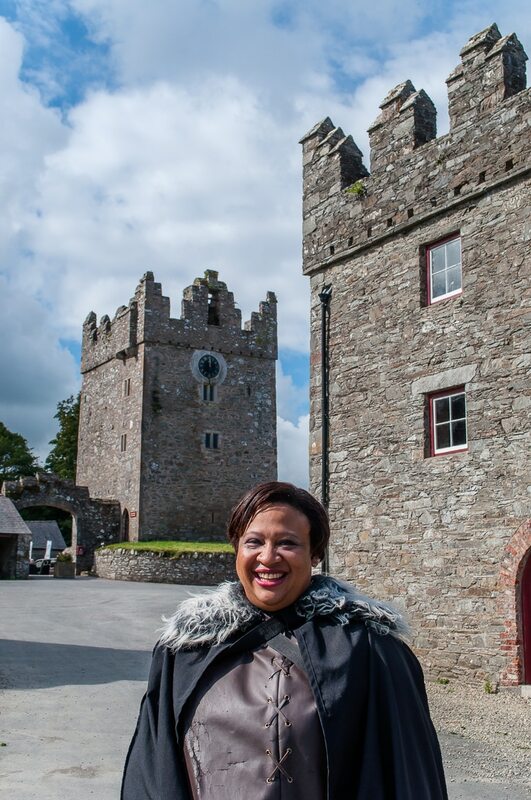 I was on the road from Belfast to the first of the places in which I was set to discover Game of Thrones country. 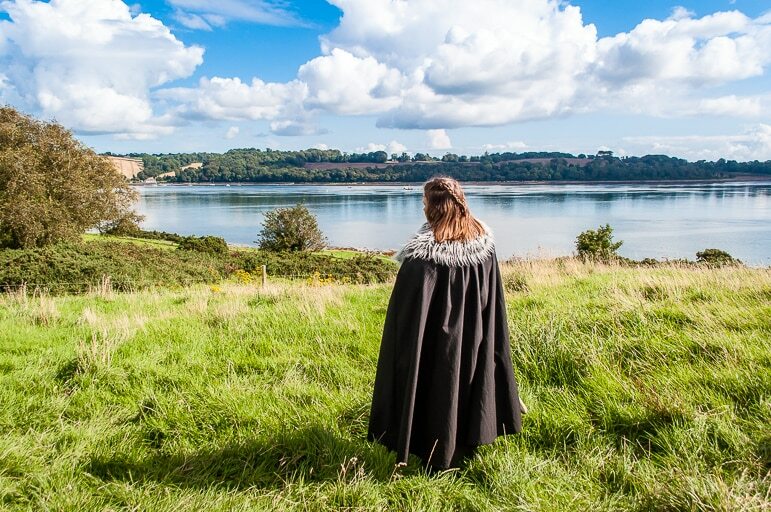 There are many great castles, country houses, scenic landforms, landmarks and places to go in Northern Ireland, but since the epic saga has hit our screens, Northern Ireland has become the place to go for a real Game of Thrones experience. What is perhaps little known about Northern Ireland’s part in Game of Thrones is that the country has a leading role in the drama. 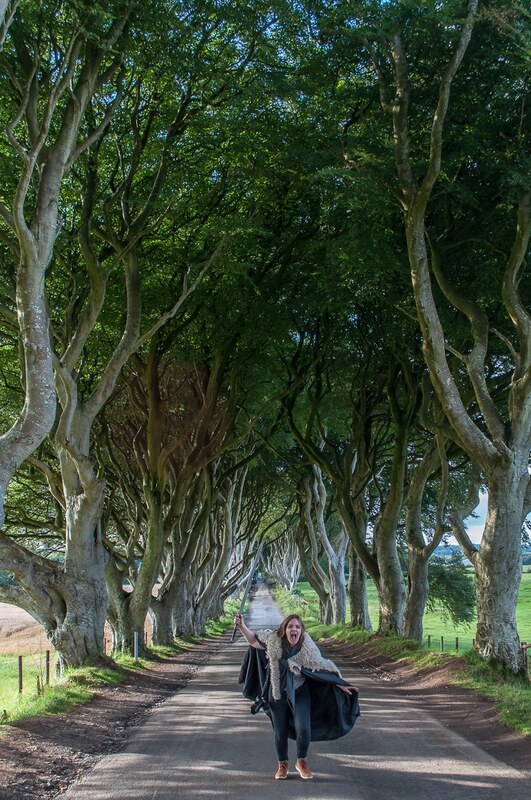 It isn’t just “the North” – the setting for Winterfell and the famous gnarling, twisting trees of the Dark Hedges. 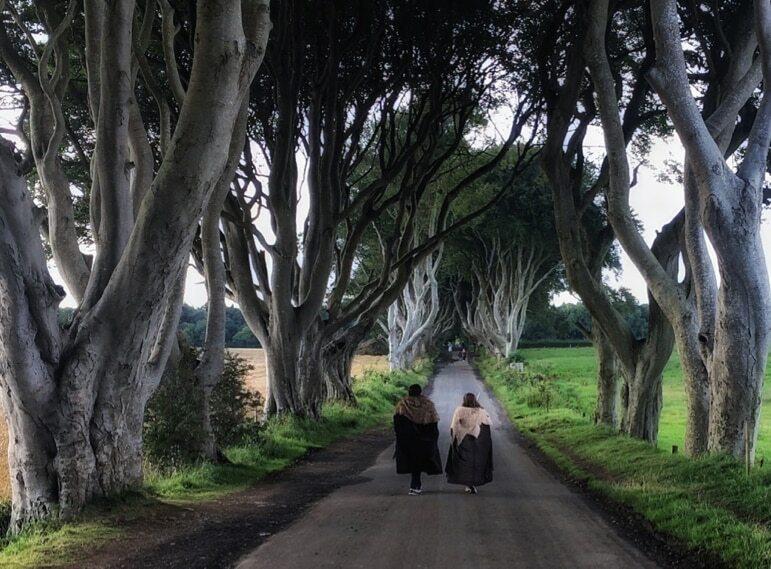 Game of Thrones has transformed Belfast and Northern Ireland in many, many ways. 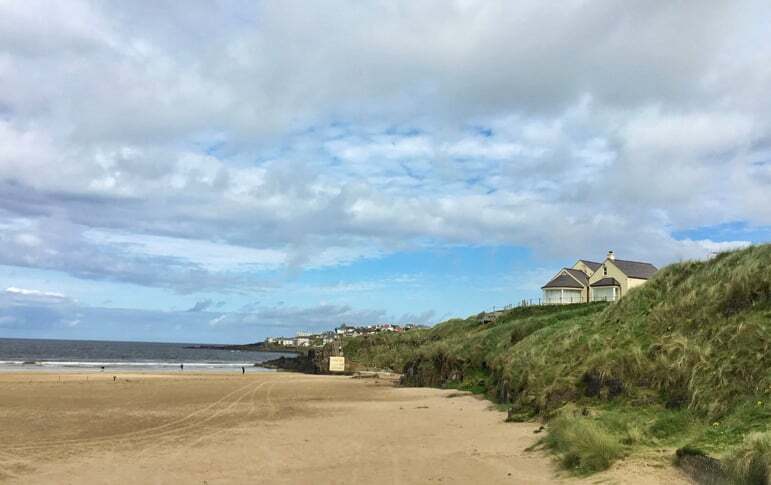 First of all there are more locations from the series in Northern Ireland than anywhere else, including many you would have expected to be perhaps Mediterranean shores than those of the northern quarter of a rainy Emerald Isle (you know, Ireland’s green landscapes are beautiful, but they’re green because of a healthy helping of rainfall each year). Secondly there’s the impact the series has had on Northern Ireland’s film industry. Belfast has become big in film since Titanic Studios has exploded with not just its Game of Thrones’ studio sessions, but a number of other high profile productions. Films City of Ember, The Frankenstein Chronicles, and television series like The Fall, The Secret and Line Of Duty were filmed in the country. But even as a Game of Thrones fan, I found there was so much more to Belfast that I loved. Take a look at my round up of things to do in Belfast and beyond, before we venture further into Game of Thrones territory. 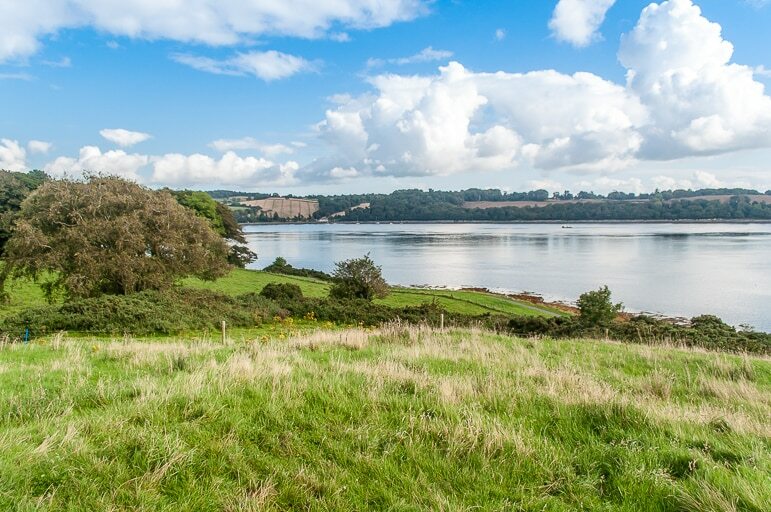 And with this film culture, and particularly that of Game of Thrones, comes a host of great film locations in Northern Ireland, and tours to take you closer to Westeros and the country’s evocative landscapes. Emerald fields rolled by my window as my taxi drove onwards to my first stop, Castle Ward, about an hour south of Belfast airport. 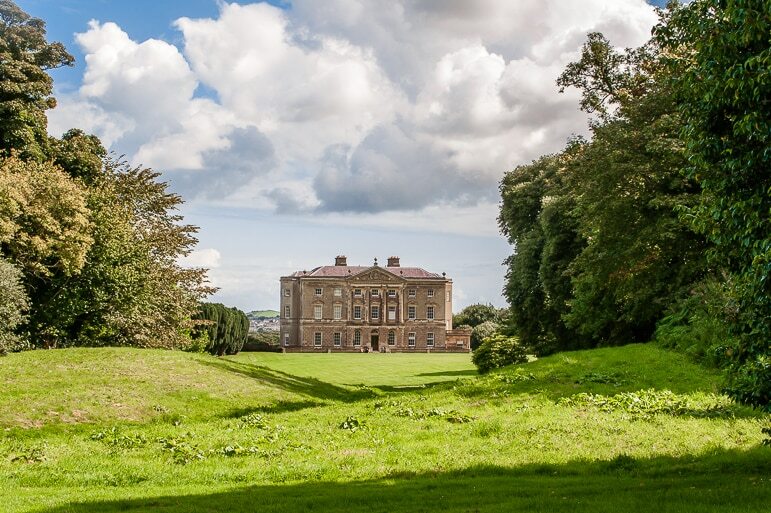 The 18th century house and gardens have long been one of the most popular places to go in Northern Ireland. It is a National Trust site, an 18th century mansion famed for its eccentric architectural styles – both Georgian gothic and palladian classical because Lord Bangor and his wife, Lady Ann Bligh, who had the mansion built, couldn’t agree on a preferred style. But it is now also home to House Stark. One of the main families in Game of Thrones was introduced to us in the first ever episode with the Baratheon’s visit to “the North”. And those early scenes were filmed right here at Castle Ward. With interest in Game of Thrones locations around the world high, the castle has become one of the best places to go in Northern Ireland for GOT fans. And it has started running a Game of Thrones Experience. But this is no Disney-esque affair, though it can involve dressing up. As I arrived at Castle Ward I was taken first to the robing room. As soon as the big charcoal cloak was wrapped around me, and the (Ikea?) fur placed over my shoulders I felt myself being teleported into the series. But that was not all. Castle Ward, like many locations and businesses in Northern Ireland, developed a strong bond with the show’s production team and it has one or two original items used in the programme including a helmet made for the Hound. 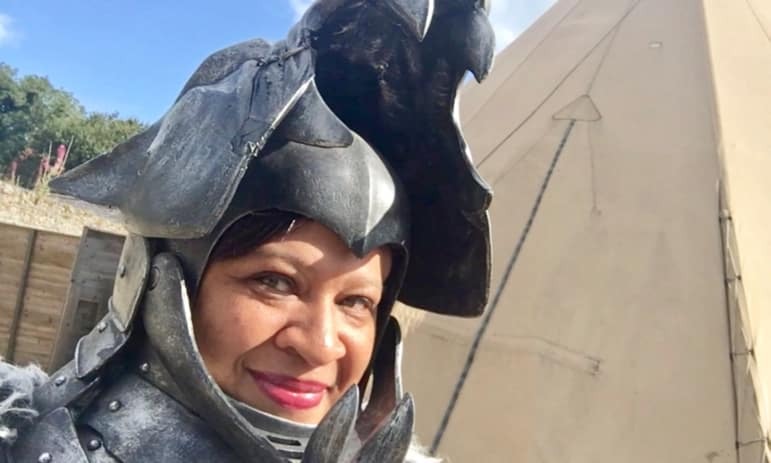 Placing the heavy helmet on my head I tottered out into the sunshine, and the archery yard with a gaping canine-toothed grin to fire some arrows on Winterfell’s archery range, and enjoy some fun photos and a little play acting with my friends. Really, who doesn’t want to have a sword fight and make like they’re Arya Stark for just a little while? Speaking of “a girl has no name” and Arya’s fighting prowess, you can also see a replica of Needle, her miniature but deadly sword in the grounds at Castle Ward. But the experience doesn’t end with the Starks at Winterfell. Castle Ward was also the setting for Robb’s Camp, and The Twins – Walder Frey’s lair which looks out across a misty sea, and was location of the infamous Red Wedding. The cloud cleared to reveal a blue sky day when we visited but that doesn’t mean the old tower that sits on this lookout point doesn’t deliver GOT locations mystique, even if the bloodfest that was the Red Wedding itself was filmed in a studio. Castle Ward also has biking trails, with bikes for hire, for you to discover more locations and explore its grounds. 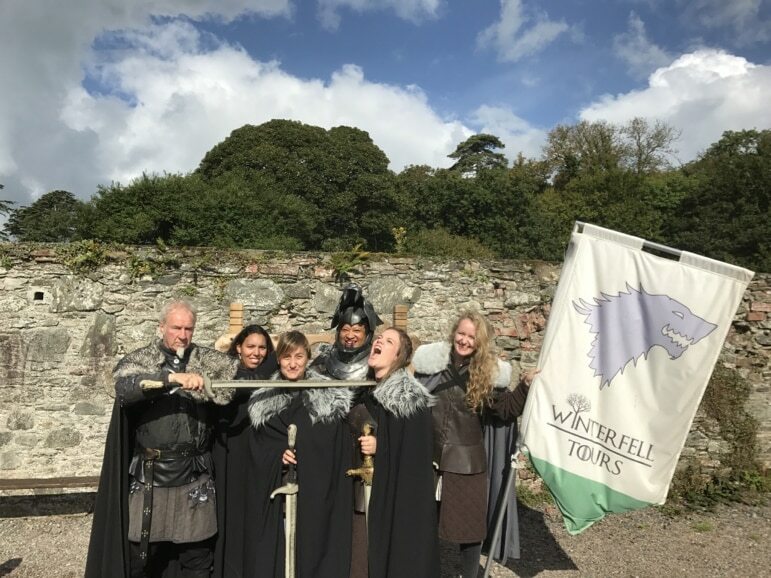 Plus ClearSky Entertainment who run the Game of Thrones Experience also has connections with Winterfell Tours, which runs a Meet the Direwolves experience where you can shake the paw of the actual dogs that saved some of the Starks from tricky situations. The next day we headed north of Belfast. 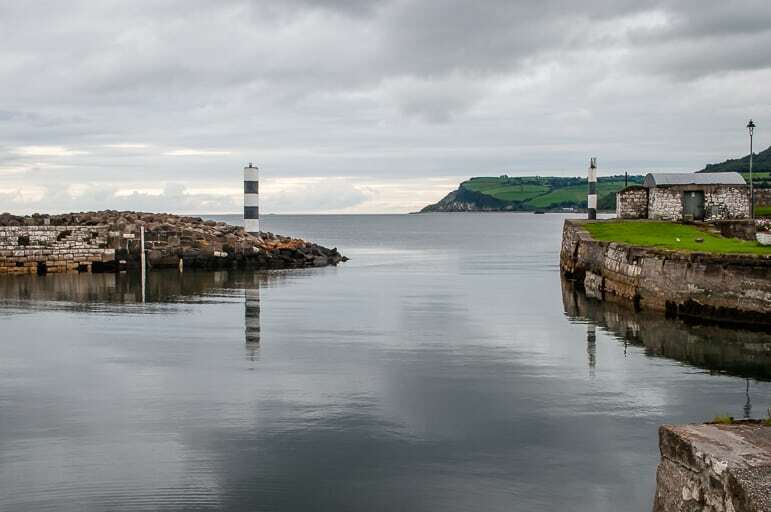 This time away from Winterfell and its locations, but further into Northern Ireland’s Game of Thrones country to explore more locations in Westeros. It’s not too far out of the city to Ballygally. 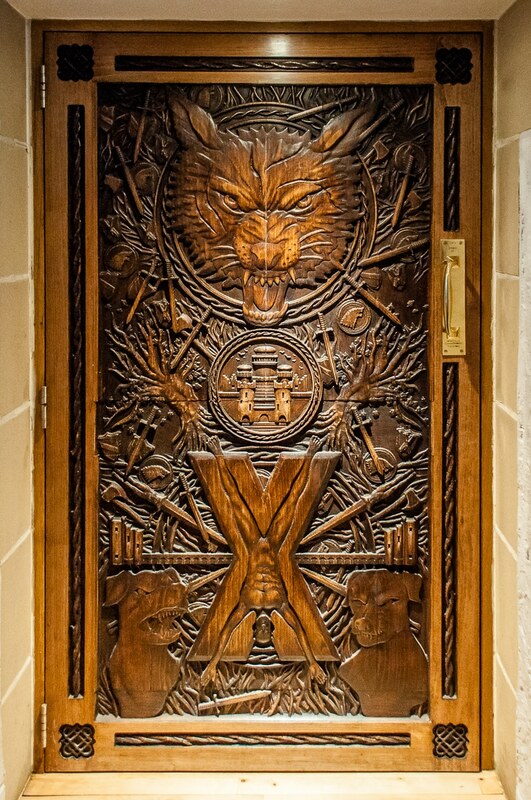 Here we came across the first of the Game of Thrones doors. An ingenious idea in the wake of a natural disaster that could have been a sad loss, there are ten doors spread across the country. They are made from the wood of two beech trees from the Dark Hedges, or Bregagh Road (better known to GOT fans as the King’s Road), that were felled during Storm Gertrude in 2016. We came across the first at the Ballygally Castle, a luxury hotel with a supposedly haunted history and pretty coastal setting. Here the Battle of the Bastards has been retold in intricate carvings, Jon Snow represented by the Stark bear, and Ramsay Bolton by his bloodthirsty dogs while the house of Winterfell rests in the middle of them. There are ten doors in all spread out across the country and you can collect stamps to put into a Journey of the Doors booklet when you find each one. For me though, it was enough to get a photo and feel the might of these wooden doors. A little further on in Glenarm, we visited the workshop of Steensons. 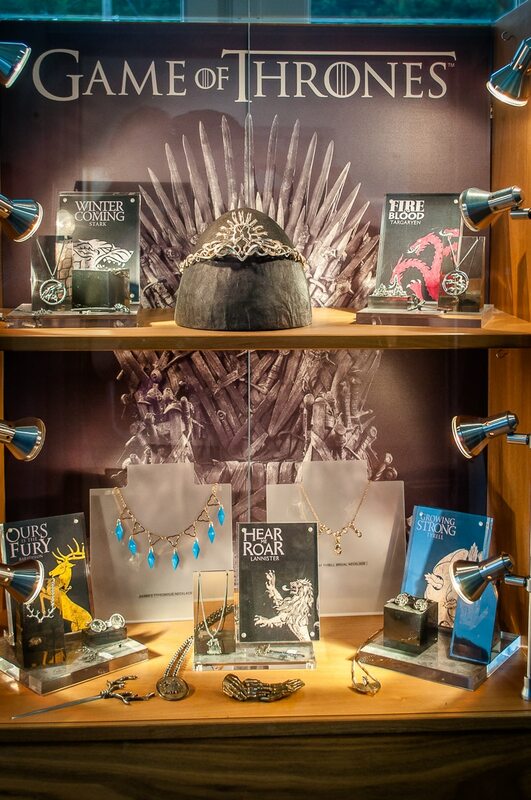 These contemporary jewellers had already made their mark in Northern Ireland and beyond, but then the Game of Thrones producers came along and requested they make the jewelled pieces worn by the cast. A trip here reveals the various styles created for Westeros’ families – the slight, elegant necklaces for the Tyrells of High Garden as opposed to the heavier pieces created for those in the frozen landscapes of the north. Then there’s the regal jewels fashioned for kings and queens in King’s Landing. A real attention-grabber was a replica of the crown Steensons created for Cersei’s coronation and we were given an exclusive treat as they allowed us to try it on. 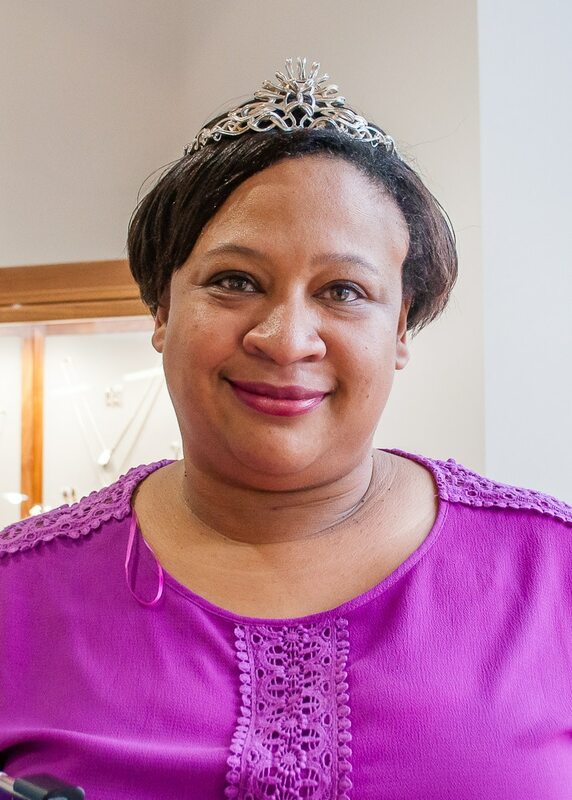 The silver piece weighed surprisingly heavily on my head, but being crowned Queen of the Seven Kingdoms, even if only for a few minutes, was rather satisfying. 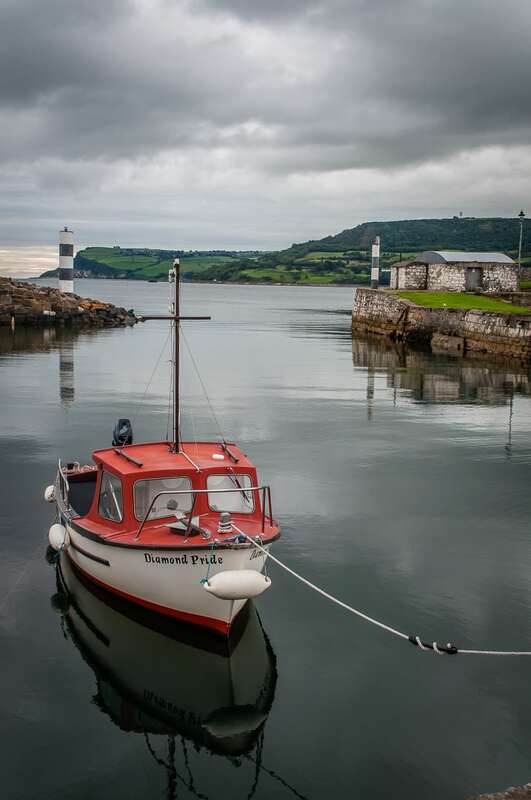 From there we worked our way around the Causeway Coastal Route – a region of eye-catching view points, idyllic villages, and plenty of striking natural landforms such as Carrick-a-Rede and the Giant’s Causeway. 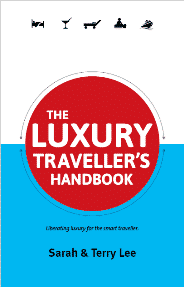 Belfast and the Causeway Coastal Route were named by Lonely Planet as the number one region to visit in 2018 in their Best in Travel. 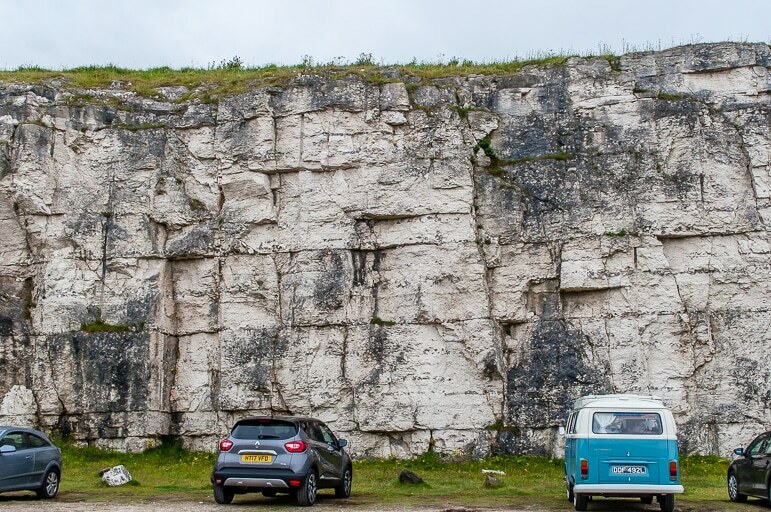 But it’s not only for these natural attractions – Game of Thrones fans are finding much to entice them to the region too. Winding our way down the hillside we paused to take in the beautiful bay of Ballintoy Harbour only for our guide to reveal that it featured as The Iron Islands, where Theon Lovejoy came ashore. 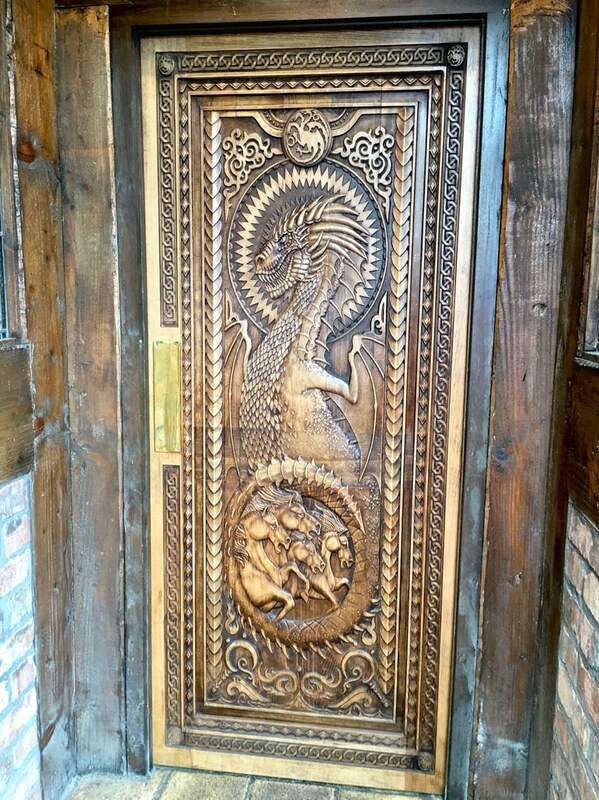 In the town itself we came to another Door of Thrones at The Fullerton Arms pub in the town. It focuses on House Targaryen, and especially Drogon, Daenerys’ most aggressive and fearsome dragon. Meanwhile the Dothraki horses at the bottom of the door are encircled by the dragon’s tail to highlight Daenerys’ increasing influence and dominance. 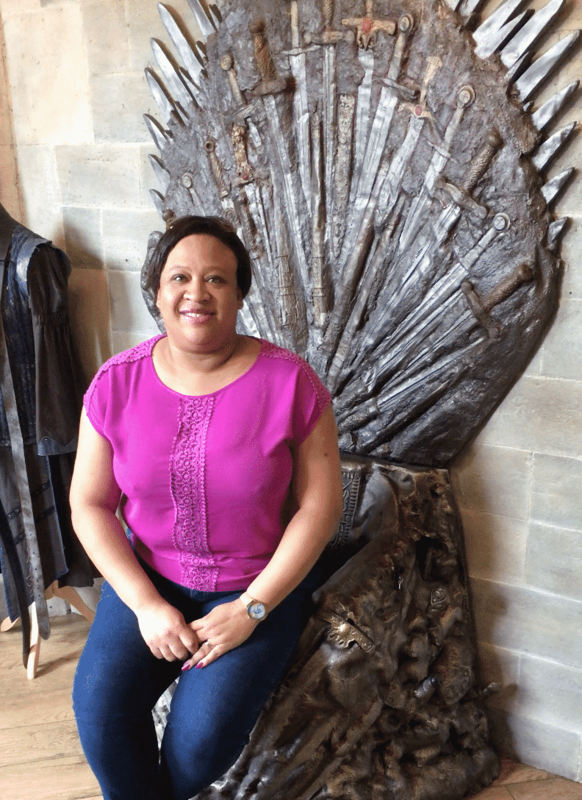 The pub even has a fun replica Iron Throne – and who could resist trying that out for size!? And there are plenty of other wonderful pull ins along the Causeway Coastal Route, from the location of Renly’s camp at the back of a car park at Carrick-a-Rede, to the broad light gold sands of Portstewart Strand where Jaime Lannister and Bronn, disguised as Martell soldiers, fight and kill some Dornish soldiers. But perhaps the best known, and most tempting location, and certainly the one I most wanted to visit was the Dark Hedges. This avenue of twisting, turning trees sits at the bottom of the drive up to the 18th century Gracehill House. Once the home of the Stuarts, the family had the trees planted to provide a spectacular approach for visitors to the estate. And it’s still spectacular today. Now I’ll be honest, since being brought to the attention of a GOT-mad public, the small stretch of trees on Bremagh Road see a huge number of visitors each day, and it can be difficult to get photos or just enjoy the moment while ducking and diving other visitors and tour buses. 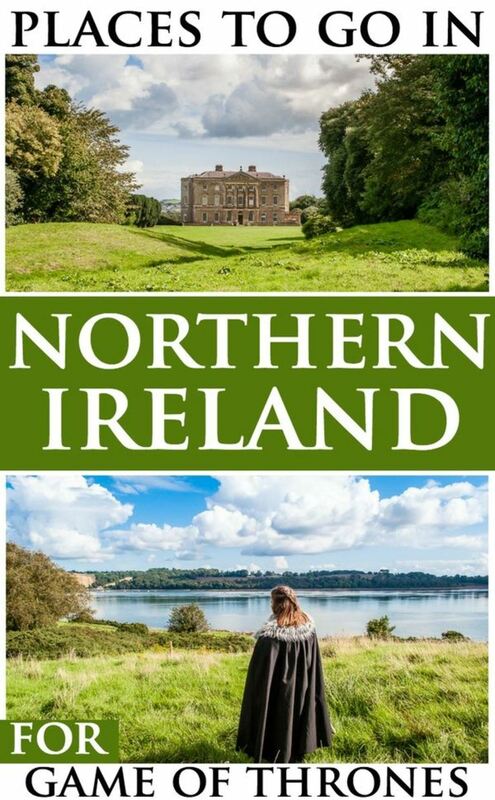 But even despite all this, it’s an unmissable stop on a Game of Thrones tour of Northern Ireland. 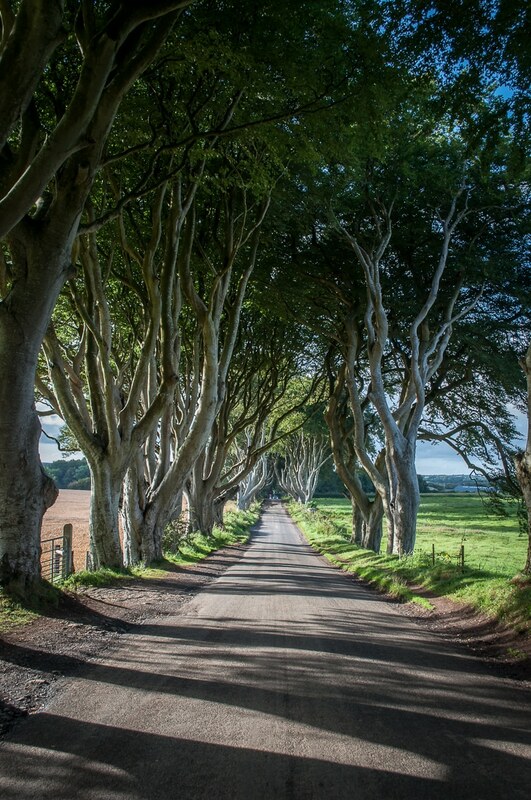 The road and its trees are eerily beautiful, and you can tell why they made a perfect location for Game of Thrones and its mystical nature. And if the fancy takes you, head over there with a sword and cape (I believe some of the tours even provide them, certainly our private guide did), and get into character along the road. You’d think that the modern city of Belfast itself wouldn’t have much to link it to Game of Thrones, bar the Titanic Studios which have found their home in the former docks. 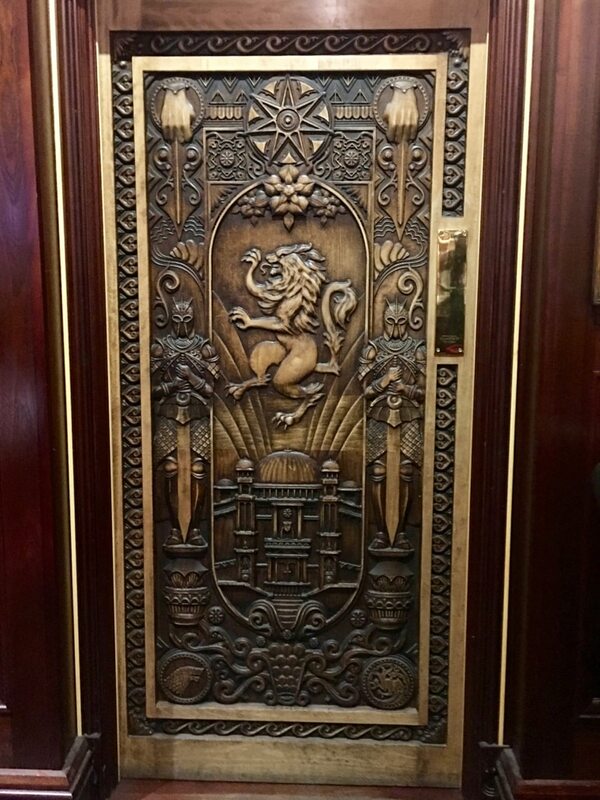 But as we headed back into the city and went out to enjoy Belfast’s famed nightlife, we came across another door in one of the most popular city centre pubs. Door 10 features a number of symbols referencing key events across the Seven Kingdoms near the end of Season 6 of the show. The House Tyrell rose appears closely linked to the Seven Pointed Star. Below that the Lannister Lion now appears isolated. The Brotherhood Without Banners’ hideout, otherwise known to us as Pollnagollum Cave, in County Fermagh. The ancient woodlands of Tollymore Forest Park, in County Down, made its mark as the Haunted Forest, and is where the White Walkers began their march. Shillanavogy Valley beneath Slemish Mountain – the legendary first Irish home of Saint Patrick, in County Antrim, became the Dothraki grasslands. Shane’s Castle in County Antrim was the backdrop to the jousting tournament, in which Gregor Clegane beheaded a horse. The 400 million year old Cushendun Caves feature as the location where Melisandre birthed the shadow baby which went on to murder Renly Baratheon. Murlough Bay was featured in many scenes – when Yara and Theon rode together over the countryside, when Ser Davos was rescued following the Battle of the Blackwater, and it’s also Slaver’s Bay where Tyrion and Jorah come ashore only to be accosted by slavers. All of the locations here are within a reasonable (1-2 hours) drive of Belfast. Stay at the Malmaison Hotel in Belfast for its perfectly central location, bar with great cocktails, and characteristically quirky luxury design hotel-meets-boutique style.